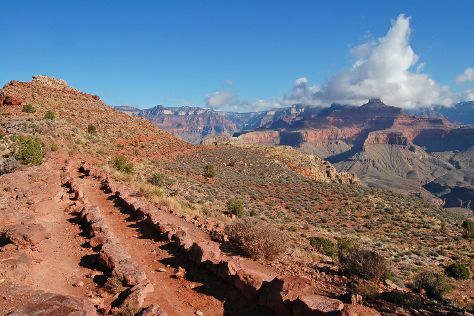 On the 10th (Wed), hike the day away at Bright Angel Trail. Next up on the itinerary: explore the stunning scenery at Grand Canyon South Rim, hike along Tanner Trail, stroll through North Kaibab Trail, and enjoy breathtaking views from Desert View Watchtower. For traveler tips, maps, and other tourist information, read Grand Canyon National Park itinerary planner. In June in Grand Canyon National Park, expect temperatures between 85°F during the day and 42°F at night. Finish your sightseeing early on the 13th (Sat) so you can travel back home.